Elliot Jaffe, the blogger behind "Weekend Hospitality" blog, is looking for his donor. His son, Asaf, has a kidney disease and needs a transplant. "In February of this year, My second oldest son, Asaf was diagnosed with Chronic Renal Failure. Simply put, both his kidneys are damaged and scarred from some infection or defect that happened years ago. They will likely cease to function sometime within the next six months." Unfortunately, those who would be the most likely to be perfect matches, his family, are all ineligible to donate because of poor kidneys and other problems. Elliot writes, "The first step to being a kidney donor is to be in perfect health. The second step is to have a compatible blood type. Asaf has a blood type of B negative. That means that possible donors are people with B or O blood. We recently learned that Rh factor is not an issue in donor transplants, and that should make our search somewhat easier. B- is one of the rarer blood types, occurring in only %2 of the general population. B+ is a bit better at %9." Check out the full post and see if you have a way to help him. Link to it, point others to it, if you match the blood type consider being a donor, whatever. Benjamin Netanyahu contacted Stephen from Webads about inviting some bloggers to cover a press conference he would be hosting today. The topic would be the unveiling of his plan on redoing the education system in Israel. Stephen invited a number of bloggers to cover the event, and I was one of them. In addition to me, present (in no particular order) were Carl from Israel Matzav, RivkA from Coffee and Chemo, Lurker who comments and sometimes guests posts by The Muqata, and Mother in Israel. I also heard that some Hebrew bloggers were there, and there were people from the traditional press. This leaves Bibi alone on top of the technical revolution as this is the first time that any politician in Israel has invited bloggers to cover a press conference. He is clearly taking advantage of the very powerful medium of blogs, that allow direct contact with the average person, in ways that others are not. The press conference took place in "Metzudat Zev" a.k.a. Beit Jabotinsky. This is the building containing the Likud headquarters and is named after the famed Zionist Revisionist leader Zev Jabotinsky. Bibi first walked in and walked around the room greeting those of us in attendance. I thought that was a good touch - very personal. He came over and said hello. He saw the computers and said, "Atem haBloggerim? Yesh lachem et kol ha'tziyud!" - "You guys are the bloggers? You've got all your equipment [ready]!" I felt a little funny. I was the only one not to bring a computer. It seemed funny to be there as a rep of those in the forefront of technology, while I am writing with the old-fashioned pen and paper. But then again, I don't type so fast anyway and probably would not have been able to keep up! Also, I chose to walk most of the way, as it was not too far from work, so I did not want to shlep a laptop, and I figured they probably would not have wireless internet available anyway. So I brought a notebook, pen and my camera. Carl proved me wrong, and got a decent wi-fi connection, and he was even able to post an initial post right from the press conference! So Bibi gets up to the podium and begins his address. He describes how he has spent the last year and a half working on getting familiar and up to date with the education system and learning about it and meeting with professionals, in Israel and abroad, about formulating a plan to fix it. Israel's education system has largely been a failure in the past 15 years. It has been in a constant state of decline. Our students come in among the lowest of countries in the various exams and rating systems. So ti needs an overhaul. Mr. Netanyahu presented his plan to overhaul the system. He explained the importance of the education system. It is the real promise of equality among people of differing sectors. It breaks the barriers. And it is what will allow our children to succeed. He spoke of his plan to create a sort of "cabinet" of education, just like the government has one to deal with defense. The education system is in serious need of direct intervention and he himself will head the education cabinet. Throughout the speech he made comparisons with what needs to be done with the educations system and what he successfully accomplished with the finance system when he took it over as our financial system wa son the brink of collapse. he successfully turned it around, and we are now considered among the most successful financial systems in the world, and many other countries take example from us. He plans to do the same for our education system and bring our kids back from being in the bottom teir internationally, to being among the top ten percent in the world. He says his plan is for ten years, but hopes to accomplish it much quicker, just as he did with the financial systems. He turned that around completely in four years, but his goal is ten years. Bibi's first point was the quality fo the teachers. While the teacher is not everything, it is a very important aspect of influence on the children and their education. he wants to attract better teachers, he wants to pay them more. He wants to create an environment where the best people want to go into education. Just like the air force has demand because its name is one of greatness, just like doctors have a difficult time getting into medical school because of the reputation of excellence (even though they do nto necessarily make so much money and at least the first ten years work very hard for very little), he wants to do the same for education. Create a reputation where it is considered where the elite go. Bibi showed some statistics in a presentation in which he shows how from 1992 the budget for education was increased massively by Yitzchak Rabin and subsequently increased by himself and other PMs that followed, and yet between 1992 and 2002 the level of education and the students kept falling. In 1995 the percentage of successful reading exams by the IDF was at 65%, and over time it went down to a 32% success rate in 2002. "HaTovim La'Horaah" - "the best [teachers] for education" is what he calls this part of the plan. Ha'Tovim La'Horaah, as described briefly above. Let the administrators administer. We need to train administrators, we need to strengthen their positions (which includes giving them resonsibility over parts of their budgets, at the same time demanding of them results), and giving them increased responsibility. Bringing back Values to education: We have abandoned civics and democracy in our education. Bibi wants to bring that back. In addition, we will bring back "Tziyonut U'Metzuyanut" - Zionism and excellency". Values and discipline will be returned to the classroom. On the last point, Netanyahu expanded a considerable amount on. He described how we have put the Nakba (the Arab description of our vistories - the word means"The Disaster") into our schools and taken out Zionism and Jabotinsky. Taking out Jabotinsky is like taking out Ben Gurion. How can you teach Zionism and not teach about Jabotinsky? We will take out the Nakba and put back Jabotinsky and Ben Gurion! Alot of people can discuss what to do, but to succeed in actually making change, one needs to be a Prime Minister with a clear vision, political strength, and courage. Bibi streesed that while budget cuts have been difficult, and taking budgets away from education, from any government ministry, is always difficult, but that is less important. the budget itself is not so important. It is how you use the budget. We have seen increased budgets thrown at education with deteriorating results. We need to use the budgets better by defining the goals. After Mr. Netanyahu presented his plan, he then took some questions..
RivkA asked about cheating in the classroom and how he would bring back Tziyonut to the classroom. Bibi respondedthat he would create a framework for discipline and success. We will give the students the tools for success and for the development of his opportunities. He spoke about values and patrotism. he compared it to the United States that he said is one of the most patriotic countries in the world. I am not sure what patriotism has to do with cheating. If he thinks students in te US do not cheat just because they swear allegiance in the morning, I think he is fooling himself. He continued on about teaching Zionism and Moreshet Yisrael by teaching the facts. he has no plans to corrupt anything or whitewash anything. Simply teach the facts of history. Take out the Nakba and bring back the facts. Somebody else asked about whether he would implement the necessity to study core issues among the Haredi education system. Sometimes by trying to implement a plan 100% of the way, you end up with 0%. Instead of fighting with the Haredim about it, and therefgore possibly not being able to implement it at all, let's start with everyone else. Let's start with 80% of the poulation. There is already change by the Haredim and they will continue to want more education, as they enter the workforce mroe and more. It will require discussion, agreement and slowly over time it will be done. MOI asked about teachers opposition to reform. Bibi responded that change does not mean everything. What is good will be kept, and what is bad will be changed. he is in touch with the various teachers unions and they asked the same question. Change is not for the sake of change, but for improvement. Bibi again stressed the importance of "Tziyonut and Metzuyanut" as the basic theme of his plan. Overall, I thought the conference showed the seriousness with which Bibi Netanyahu is approaching the crisis in the educational system and the way he expects to tackle it the way he tackled the problems with the economy. I have avoided commenting on the upcoming US elections. I have been strongly undecided as to whom I will vote for. Normally I have voted for the Democrat candidate, but I have been wholly unimpressed with Barak Obama, except for his oratorical skills. He is a great speaker, but I am unsure of him as a possible President of the US. I do not know much about Sarah Palin. I do not think anybody knows much about her. I do not think even John McCain knows much about her. But it seems, at least initially, he made a fantastic choice for his VP candidate. Palin is a woman, she is an outsider by Washington's standards, she is young, she is a self-made woman, she does not come from any elite background or anything like that. She gives his campaign good face and imagery. I don't know anything about her policy and her beliefs, other than the little that has so far been mentioned in the press, but picking her was a move that is a real "game changer". I think Barak Obama is in big trouble now. He picked a mediocre running mate, who looks old, even though he might be a good person and have good policy, he is a Washington insider and does not conform with Obama's big plan of change from the outside. I thought all along his chances of winning were poor. Mostly because of his association with Reverand Wright. I thought people would not forget that in the long run and would hesitate to vote for him. It was really his election to lose, considering how lousy a job Bush has done. Yet he has failed to pull away from an old Washington insider who has never really distinguished himself as a candidate, in all the elections in which he has participated. And now with the selection of Palin, I think McCain just dealt Obama the death blow. I wonder how Obama will counter it, but somehow I suspect that his days are over, and the Democrat Party will regret not having chosen Hillary as the candidate. "Gam La'Ganav Yesh Ta'am" - The thief also has taste! That is what the driver of a tow truck told me tonight. We were headed north for a simcha tonight when our car died on us. After numerous attempts to figure out what might be wrong with it, we kind of gave up. Some nice family pulled off the highway to try to jump the car battery for us, but it still did not work (I wanted to get that in, because it was very nice of him to take the 15 minutes of his time and pull of the road and try to help us, total strangers). So, we called the towing company our insurance works wityh and ordered a tow truck to take us back to Bet Shemesh. I waited for him, and as we could not go with the baby in the tow truck, I sent my wife and baby home in the taxi). The tow truck driver was typical Israel; gruff and scraggly on the outside, but nice and sweet on the inside. He eventually gets to me and the car, and he comes out of his truck real upset. he is barking at me, telling me off, shouting about what might be wrong with the car, upset about where I tell him to take the car (the specific street, not the city), etc. We finally sit down in the cabbie of the truck, and after a moment or two he magically turns into a nice guy. He apologizes to me, and we start chatting a bit. It turns out his other driver is sick, so he is doing his own shift and the other guys. he has been on call since 4am, and has to stay on the roads through the night tonight until 4am. So he is exhausted and hot and uncomfortable. He gest all nice, and tells me about himself, asks me about me, and we have a nice friendly chat. We stop on the way to pick up another car, and he gets all gruff and upset at this person. Where the car is located, where he has to take it, etc..
We get back in the truck and he turns all nice again. I offered him to stop and I would run into a kiosk and buy him an "Ahr-Tik Kerach" (popsicle) so he could cool off, but he said no and then got even nicer and friendlier. Anyway, as we were talking about where we would leave my car, on the street near the garage I use, I mentioned it might be risky leaving it there overnight as it might get stolen. His response to that was that I should not worry as the car is too old and it will not get stolen, aside from the fact that it does not work so the thief would need a tow truck to steal it. And then my friendly tow truck driver, Etai, added, "Gam La'Ganav yesh Ta'am! - Thieves also have taste. Your car is too old and they have no interest in your car. So you have nothing to worry about. Awww shucks. Thanks. My car is not classy enough for the car thieves. Mazel tov! Wedding or anniversary?a facebook wedding! That is what happens when your wife finally joins facebook and changes your status to married. So even though we have been married nearly 14 years, according to Facebook I "just got married"! The funny thing is that our anniversary is next week, so in a sense it is kind of appropriate timing! The Rabbonim of the Haredi town of Beitar Ilit have met and unanimously agreed that anybody in Beitar who has internet access in his house, his children will be denied entry into the chadorim of Beitar. I have no problem with them making such a rule. Beitar is a closed community, and those who make the rules can dow hatever they want. If someone chooses to live there, he is accepting those rules. If he does not like it, he can move. That being said, I do not think it will work. I doubt most people will get rid of their internet access just because of this new rule. And that means they are headed for a problem. What is going to happen when they "find out" about someone having internet access? Will they toss his kids out of the school they are in? Even if they are good kids? And where will the kids go to school? Considering the whole town is charedi, and there are no schools other than the chadorim, will the kids just stay home all day? The problem of dropouts in Beitar, and how Beitar has swept them under the carpet has been written up in the national press a number of times. That problem is going to get all that much greater if they are going to start throwing kids out of school. Maybe it is simply a threat, and they are not planning to actually enforce it (unless a kid is bad for the school and they need an excuse to toss him). Anybody know how you get such an honor? Who is this guy? He's got a nice voice, but let's say I wanted to do it - how would I go about it? (yeah right)..
will there be unity among the Haredi parties? Somebody sent to me an article from a recent English edition of Mishpacha magazine, in which the editor recommends that in order to strengthen the Haredi political strength in any upcoming elections, it is important come to an agreement to work as a unified force. The editor spoke with Rabbi Ravitz from UTJ who agreed but does not see any such working agreement in the near future. However, he did say it is possible and necessary to work together, and present a united front, on issues that concern all the Haredi parties, such as child allowances and other social issues. A united party, and even a united front on more than a couple of small issues, is really just a pipe dream. It is something that I do not see as being possible. Each of the parties does not trust the other as being capable of looking out for the greater, joint, good, and working for the concerns of each other. Without that respect and trust, the unity will never happen. Also, politicians have egos, and no party will agree to give up its independence, making the pols within lesser (even if just imagined) than any other politician. Just this week, MK Moshe Gafni of UTJ attacked Shas. He attacked them for accusing ashkenazim of racism. He claims that the Litvishe schools of Degel HaTorah are the only Haredi schools that take kids who are sfardi. The kids of the elite sfardim, the heads of Shas, do not want to go to the Maayan HaChinuch schools of Shas, so they are the racists. They come begging us to take them, and we do. The hassidic schools do not take them. Only we do. And then they accuse us of being racists. Only in Shas does the leadership pass from father to son. They come to us to make deals to ensure the "sons of" [a certain Rabbi who was not directly named] will be given the Chief Rabbi positions of Yerushalayim and Modiin Ilit. We do not do that. Rav Shach never came to us asking to ensure a certain job for a grandchild. None of the gedolim ever came to us to arrange jobs for their children. Why do I not agree to unity? Because what does unity mean? That none of us will enter a coalition if the concerns of all three parties (i.e. Shas, Aguda and Degel) are not met. What are the concerns of Shas that would prevent us from joining a coalition? That certain rabbonim get certain appointments around the country. For that we should not enter a coalition? I have to join that kind of unity? Does anybody really think unity is possible when there is such a lack of trust between them? It is a shame because with a unified front, with concern for the greater issues and not the petty ones, with the concern less for the sectoral issues (not completely, obviously they need to work for those issues, as that is why their voters vote for them) and more for the country, the religious parties could accomplish so much more. more on the national front and more in the sectoral issues as well. but it looks like it is not going to happen in the near future. This is a very common Hebrew phrase found among children, having converted the word "fair" to Hebrew. "It's not fair". Mynet, a local Jerusalem publication, is reporting on an incident in which a Haredi family was chased out of a park in the secular neighborhood of Beit HaKerem. While I wish we could all live together peacefully and not feel threatened one by the other - in both directions; Haredi with Hiloni, and Hiloni with Haredi, that does not seem to be the way of the world. What this family had to suffer as individuals is very disheartening. It is very much "Lo Fair" to them. All they wanted was to mind their own business and enjoy a nice afternoon in the park with their family before the end of the vacation season. But the world is not fair. Life is not fair. While as a family and as individuals these people might be very nice and perhaps even worldly (I have no idea of they are or are not, just suggesting the possibility), perhaps they are friendly with Hiloni people, but they went to a park and automatically became representatives of the Haredi community, and lost their identity as individuals. Yes, it is "Lo Fair". But there is something wrong with Haredim crying foul when it happens to them, when they are constantly chasing out hilonim from Haredi neighborhoods, and even from secular neighborhoods that have turned Haredi (even if just in part). Think of the signs in Mea Shearim. Think about what has happened in RBS B, and even the way they make it uncomfortable in RBS A with the signs calling on secular people to dress certain ways to accomodate the locals. Think of many news events where Haredim were not welcoming to hilonim claiming the different lifestyle and trying to avoid a clash as the hiloni dress would offend their sensitivities. The Haredim do it so often to the hilonim, that it is hypocritical for them to now be crying foul when it is once done to them. Yes, it is "lo fair" for the family it was done to. But, as a community, if you dish it out, you gotta be able to take it. Let me ask you a question. If you walked into a public bathroom, and saw a box there with a note saying you should leave a shekel for use of the bathroom - would you drop a shekel in? Let's add to the scenario - there is nobody sitting there making sure you put the shekel in. You don't even know if anybody official put the note and box up - maybe some guy just figured he can make a little money off other people with no effort. So what would you do? Would you put the shekel in or would you use the john for free? One day on our tiyul we had to go through Tiberias to pick something up. As we were on our way out of Tiberias, some of the kids needed to use a bathroom. A short while later we passed a sign for a public bathroom, so we stopped. There was a box and a sign in the bathroom saying that use of the bathroom costs 1NIS per person. Us being the friars we are, we put in 1NIS per person using the bathroom. (a friar is an Israeli slang word that refers to someone who is a "loser" or contantly being taken advantage of). Some guy is probably getting "rich" off us friars who actually put the shekel in. Sometimes a 12 year old does know what she is talking about! My daughter kept insisting we go to a certain waterfall. She told us she had been there with her class on a school trip and it is a lot of fun. She told us where she thought it was, but we had no luck finding it on the map. We were making fun of her, in good nature, that she made it up or she just had no idea where it was. We finally agreed to go where she thought it was located. We followed the path down, and lo and behold, there it was! Despite it not being n the map! When there's a will there's a fight..
Can't a guy do with his money as he pleases? The Chicago Tribune reports on a fight among family over the will of the deceased grandfather. The guy must have been extremely rich, because the fight over his money has torn the family apart. Briefly, Max Feinberg wrote in his will that any descendants that would marry non-Jews would be disinherited. A couple of his grandchildren intermarried, and are suing their parents who are trying to keep their fathers wishes. It is such a shame when a family gets torn apart by fighting over money. And once they are fighting over money, I would point out the "money quote" of the article. The mother, Marcy, being sued by her daughter, said, "I have to think she misses the gefilte fish" [because she has been exiled from the family dinner table]. But can't a guy do with his money as he pleases? Why does he not have the right to distribute his money among whichever children and grandchildren he wants to, and not give to the ones he does not want to? I never really understood the concept of contesting a will - unless it is on the basis of the deceased not being of sound mind. Why can a person not decide what to do with his own money? Life in Israel. L'Chaim and Mazel tov! I do not remember the exact day, but it was about 4 or 5 days before Rosh Chodesh Elul. I was never one to be overly sentimental and make scrapbooks and save airplane tickets for memories or stuff like that, so I have no way of looking up the exact date. 18 years ago, just about to the day (about 4 or 5 days before Rosh Chodesh Elul so I am choosing today), I stepped off the airplane in the Holy Land for the very first time. 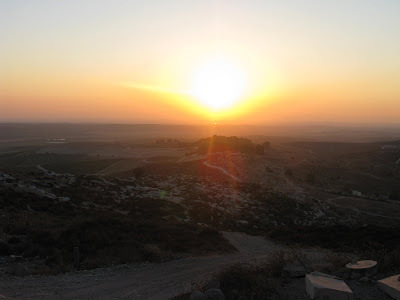 I was coming, on a spur of the moment decision, to learn for the year in Eretz Yisrael. Little did I know, that would be one of the most monumental decisions of my life. And typical of me, I made it with almost no forethought and preparation. Just decided one day, after not even having considered it previously. After my first year in Israel, I was planning on returning to the US to learn and go to college. Little did I know that over the summer vacation I would realize I wanted to go back to Israel. So I did. Another spur of the moment decision. That year, I began keep the halachic fiction of "a day and a half of yom tov". Because I was pretty sure I wanted to stay, but my Rosh Yeshiva was not convinced at that point that I was sure enough to switch to one day. After my second year I once again waited until the summer to decide to stay a third year. But I decided I was coming back, and I came back. By now, the fourth year was not even a question. and at some point during the year my Rosh Yeshiva knew I was staying and told me I could keep "one day yom tov". I stayed in Israel and have never looked back. I am now turning 36. I first came when I was turning 18. Chai (18) years in Israel. Life in Israel. I have now spent more than half my life living in Israel. I think I qualify for status of "Oleh Vatik" or "Toshav Vatik" by now. As we were packing up one morning to head out for our daily tiyul, we stopped to say goodbye to the guy running the place, named Ezra. A nice guy who tried to be helpful in whatever way he could, and pretty flexible as to the comings and goings of the campsite (he let us come in the first night very late, after he was planning on locking up, for example). So Ezra asks where we are going for the day. We tell him which tiyulim we have planned and which we are considering. We ask him what he can recommend, being he is probably more familiar with the area and hears from the various people staying in his campsite how their trips were.So we ask which have more water, which he thinks are better for kids, which are more and the like. So Ezra thinks for a minute and then he asks us if anybody had a specific request for a tiyul. We figured it was pointless to go into the whole debate of what we were considering and who wanted what, so we did not really answer. We just said not really. but one son piped up and said he wanted to go to a specific tiyul. So Ezra made his recommendation. he said of nobody wanted to go to anywhere specific and one person wanted to go somewhere specific, we should go to that place. After all, nobody else cares, and he does, so everybody will be happy. If we were to go to somewhere else, everybody will be happy but him. So why go to somewhere where the one person who has a request does not want to go and will not be happy? Go to where he wants and make everyone happy! It was great advice. It really was. But it did not answer our original question. Our question was which place is more fun, more water, more appropriate. Our son did not know why he was picking what he requested other than our having suggested it and he liked the name or what we told him about it. 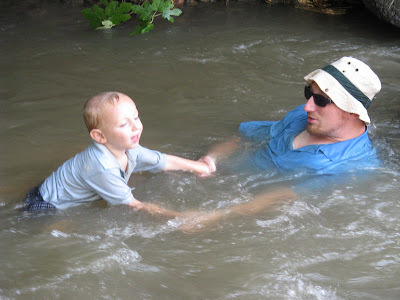 Had Ezra said "that place has no water you can go into" or something like that, my son would have changed his mind. So Ezra's advice was good, but only for somebody with all the information and just trying to decide between a couple of choices. We did not have the information. We were asking him for that information. So this observation from our tiyul is another manifestation of how Israelis give advice. This is like when you go outside with the baby and 20 people come over and tell you the baby is not bundled up well enough or her head is not covered well enough. Instead of giving us the info, he was telling us how to keep our kids happy. I have posted a couple of posts on the topic of kashrut and the "investigation" performed by the Kosherot organization into the current state of kashrut affairs in Jerusalem restaurants. I therefore feel obligated to write about some new comments by Rabbonim who have commented on the investigation, so as to present fairly the opposing opinions (of course with my comments). The first response is that of Rav Benny Lau (I think he is the nephew of the former Chief Rabbi). To see Rav Benny Lau's full letter in Hebrew, see this Ynet article and a briefer version of it can be found here..
Rav B Lau attacks Kosherot and its report as being a joke and better that it should never have been published. His main focus is on the restaurants in the report under the Rabbanut hechsher. He says regarding many of the claims that restaurants and mashgichim are not sifting flour or the legumes and rices, that many of these places do not bake their own breads or pastries, so they have no need for sifting their own flours, many do not sift legumes because they do not use them. Rav Lau claims that the mashgiach always sifts the rice and signs a report that he does so. Separating Trumos and Maasros is not an issue because the fruits and veggies come to the restaurant with the trumos and maasros already separated. As well, another major issue is the bishul akum one - who lights the fire or does the cooking. According to ashkenazim, all we need is that a Jew should light the fire. Then, even if a non-Jew does the actual cooking, it is considered as if the jew did the cooking. Sfardim require that a Jew should do the actual cooking, and just lighting the fire is not enough. The Kosherot report found that many of the restaurants have a mashgiach lighting the fire but a non-Jew (usually an Arab, in Jerusalem restaurants) is doing the actual cooking. That presents a problem for sfardim, or for ashkenazim who want to be makpid on that level. Rav B Lau responds to this issue as well. He claims that the Rabbanut does not claim to be ok for sfardim or people who are makpid on that level of Jewish cooking. Only at the level of mehadrin are they makpid on this. A mehadrin certificate, Rav B Lau says, can include every chumrah in the book. However, a regular Rabbanut hechsher is designed to create a bas elevel of kashrut that most people can adhere to. He says that not just ashkenazim hold like the Rama allowing a Jew to simply light the fire, but many Morrocan Jews also held like that. Rav B Lau goes on to claim that those behind the report had ulterior motives, possibly to minimize the use of Arabs in the workforce. He calls the report a joke and better it should never have been written. He also approached the head of the Rabbanut, RavIlovitzky, and asked his opinion about the report. Rav Ilovitzky claims that the restaurants under the Rabbanut hechsher all adhere to the rules of the Rabbanut and this report claiming otherwise is false. He says that where the people of Kosherot could have used their energies in trying to improve things where possible and work together, their goal was really to try to destroy the kashrut of the Rabbanut. This concludes my recap of Rav B Lau's letter in response to the Kosherot report. Again, if you want to see the letter in full, follow the links above. I was then shown a letter of response from Rav Shmuel Eliyahu, the Chief Rabbi of Tzfat and the son of Rav Mordechai Eliyahu (former Chief Rabbi of Israel). Rav Eliyahu writes, and I do not have a link any longer for this, as the link I was sent no longer works, but I still have the text, that Rav B Lau's letter is an attempt to take the debate out of the realm of kashrut and to politicize the debate instead. He says that Rav B Lau's response is an attempt to take us backwards 10 years in our level of kashrut observance to a time when there were hechshers for specific communities - such as a hechsher called "frankish" which was for restaurants that were good for sfardim (also known in the vernacular as "frankim") to eat in. Rav S Eliyahu says that Kosherot checked the status of Rabbanut Jerusalem restaurants to see if they adhere to the directives of Rabbanut Israel about a standard level fo Kashrut that is acceptable for all, and they found that it is really using the communal system [where most of the restaurants are only good for ashkenazim]. 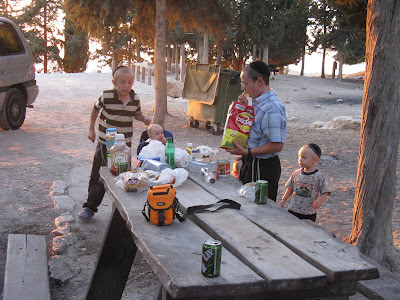 The basic goal, Rav S Eliyahu writes, is to use a standard that is equally acceptable for both ashkenazim and sfardim to go in and know the word "Kosher" means he can eat there without requiring any fine text. Today, the situation in Yerushalayim is not that. A Sfardi cannot go into a restaurant and know that it is kosher for him to eat there. Rav Eliyahu asks why Rav Lay wishes to impose ashkenazy rules on sfardi people, which will require separate hechshers for ashkenazim and sfardim..
Rav S Eliyahu goes on about that issue a little more, than he moves on to other problems mentioned by Kosherot. He says many of these problems are already well known and have been researched and mentioned by other organizations. Any place can make a mistake, but the state in Jerusalem is well beyond the level of the occassional mistake and the situation needs to be resolved. That is the conclusion of my recap of Rav S Eliyahu's letter. Now, my comments. I did not see the Kosherot report as focusing specifically on Rabbanut restaurants. While they delat with issues that the Rabbanut claims as standards yet those stabndards are not adhered to, I actually foudn that to be a minor part of the report. The main issue in the report was more focused on the various mehadrin hechshers that are either not reliable at all or do not keep set standards. Every hechsher declares what are the stabdards of kashrut that it uses in its supervision. The question a consumer needs to ask and be aware of is what standards he wishes to keep, and if the hechsher on any specific restaurant supplies him with the standards he is looking for. Meaning, someone who wants to refrain from eating dairy products made with chalav stam/akum, will know he cannot eat Rabbanut because they use chalav akum and he does not want to eat that. The same is true for any other standard. if you know the Rabbanut keeps standards at the level you are confortable with, then go ahead and eat Rabbanut. If you prefer a different set of standards, then don't eat Rabbanut, but eat whichever one keeps the standards you are looking for. One serious problem is when a hechsher declares standards, but does not adhere to those standards - either because they just do not or because of technical reasons such as the mashgiach cannot enforce certain policies. Then you have no way of knowing that you cannot eat there (based on the standards you are looking for). The real revelation of the Kosherot report, however, was not really the Rabbanut issues. Even though they discussed them, I think the main focus was really on the hechshers that portray themselves as being mehadrin but use no standards and often do not send a mashgiach for any purpose other than to pick up a check. HH #179 at Jerusalem Games.. The recent NBN jbloggers conference had been sponsored very publicly by IsraelMall and by Sun. There was really another sponsor that joined late in the game. For some reason, perhaps because of the lateness of their joining the program, their name was less noticed. Yes, they got full mention at the event, but they did not have a booth, and they might have been less noticed. This sponsor would be Office Depot. What does Office Depot have to do with a jbloggers conference promoting aliyah? I don't really know. Perhaps because they sell computer equipment that bloggers can use. Also, I am now told, they went through a lot of effort to become sponsors because they believe aliyah is important. But regardless of that, Office Depot is a great store where you can find pretty much whatever you need for your computer needs, office needs, gadgets, phones, school supplies and more. Their prices are reasonable. I know that when I walk in to an Office Depot store, I have a hard time stopping myself from buying all sorts of equipment they have on display. The best part is you don't even have to get up and go to their store if you do not want to. They have a website from where you can order anything you need. They say supply is promised within 24 hours of the purchase, and delivery is free for any purchase of over 300NIS (less than that will incur a delivery fee of 20NIS). They are always running sales on various items. Every week they have a new lineup of sale prices on various items. You can take advantage of their sales either by going into any branch or by buying from the Office Depot website. So check out Office Depot, sponsors of the 2008 1st annual NBN Jbloggers Conference. will they deface Rebbe Nachmans memorial also? 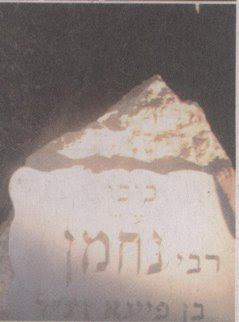 The Iryah of Bet Shemesh recently dedicated a kikar (traffic circle) in the Kiryah Hareidit neighborhood of Bet Shemesh to the memory of Rebbe Nachman of Breslav. Now, I am not a violent person, nor do I support vandalism, but this specifically intrigues me. I wonder what would happen, what would the reaction of Breslavers, and other Haredim, be if somebody were to come along and spraypaint graffitti all over the new memorial for Rebbe Nachman. No vicious graffitti of course, but the same graffitti they spray all over Bet Shemesh and the rest of Israel defacing every wall, structure and monument with their Nach Nach chant and their tzniyus declarations about guarding ones eyes. This is how Hava Naglis should be played on the violin! 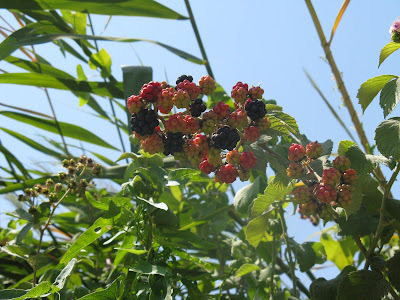 observations from our tiyul - are you a settler? While on our campsite, we became a bit friendly with the family camping adjacent to us. It was a large group - the grandparents with all the children and grandkids - from the Ohr Yehuda/ Yehud region of Israel. They were not religious, but were traditional, and the grandfather wore a kippa. One day, the grandmother comes over to us and offers the kids candy, showing us the package that it had a Badatz hechsher on it, and asking if it was kosher enough. When chatting with her and her daughter, she asked if we had been "disengaged" as part of the hitnatkut. As we discussed it with her, explaining and re-explaining where we were from and just because we are religious does not mean we live in the "settlements" or in Gush Katif. She really seemed ignorant, in a sense, about what the disengagement was and who are the "mitnachlim" - settlers - and who support them. Even after telling her that we live in Bet Shemesh, and lived there at the time of the disengagement, she had a difficult time understanding that we were not evicted from our homes, though we protested against it. And it was not just the grandmother - you could then say she is old and did not understand. Her daughter understood our explanation quicker, but she just as unsure as her mother. I wonder if most people, from the hamon am, did not understand it, and still do not, and perhaps that is why they were not outraged by it. Yes, some supported it and thought it was a good idea, but I think a lot of people were ambivalent about it saying it did not really affect them, so they did not pay attention to the details. It is hard to imagine, considering how much it was in the news, but this family showed me that they had no understanding, not even a basic understanding, of what had happened. And I wonder how prevalent that ambivalence and ignorance was. A number of bloggers pointed out, as a low point, the "braindead Right Wing blogger" who heckled Zavi Apfelbaum, the Foreign Ministry's director of Branding, during her presentation at the NBN jbloggers conference this past Wednesday night. To provide some background for those of you who did not see it or read about it elsewhere, Apfelbaum is leading a project within the Foreign Ministry to decide on a brand with which to present Israel to the world. Something that when you would mention the word "Israel" to somebody, specifically a non-Jew anywhere in the world, would cause them to think about specific images and think of Israel in a specific manner. Apfelbaum was talking about the research they are conducting, and it was a very interesting presentation, even though she spoke to us slowly with a lot of repetition as if we were fifth graders. Apfelbaum was describing ideas of images and concepts to be used, such as women in bikinis n the beaches of Eilat and Tel Aviv, discos full of frolicking youth, and the like, that would portray Israel as a fun place to be. She also mentioned portraying Israel's multi-cultured aspects of being holy to three religions. At that point my friend, the "braindead right-wing blogger", Moshe started heckling and screaming that Israel is a Jewish State. He kept repeating that phrase and disrupted Apfelbaums speech. She got pretty flustered. After a moment of composing herself, she continued her presentation and concluded it quickly. At first it seemed Moshe was acting pretty much like an insensitive person who is in denial that we have minorities living among us. But after speaking to Moshe about it, I have come to understand his point, and I think it is a good one. Even though Moshe did not express it well at the time. Moshe was pointing out that the government, via the Foreign Ministry is presenting various ideas to be used in branding Israel. Not a single idea pointed out was one that portrayed Israel as a Jewish State. Not one included an image of anything Jewish. They were images of fun things and minorities. Nothing unique to Israel - all things that one can find in any other country in the world. It was almost as if the Foreign Ministry is embarrassed by the fact that Israel is a Jewish State and refuses to point it out in its branding of Israel. They will use every concept, and every image, except anything that says Israel is Jewish. Moshe has no problem with using fun ideas, and he has no problem with portraying Israel's minority cultures in its marketing packages. But only after showing the world that we are first and foremost a Jewish state, using Jewish concepts and Jewish images. Then it would be ok to also describe the fun that can be had here and the cultures of our embedded minorities. To read Moshe's full explanation, check out his blog, The Sin of the Expulsion blog. he wrote his explanation of the incident in two parts. 5 minutes with the Rabbi. That is all you need. Rabbi Lau, the former Chief Rabbi of Israel, has started a television program called "Do you have an idea?". The program runs for 5 minutes a couple times a week and Israel TV. He spends those 5 minutes talking. Just talking about Judaism. Describing a mitzvah, a Jewish concept, a Jewish holiday, whatever he chooses, he spends 5 minutes talking about some Jewish concept. The purpose of this is not kiruv how we know it, at least not blatantly to make people decide tomorrow to be religious, send their kids to religious schools and start wearing kippa and tefillin and keep shabbos (though maybe as a residual long term effect that is the goal, I don't know). But it is kiruv in the sense that it is opening up Judaism to the masses, to the general secular public many of whome within this comunity are disconnected almost completely from Judaism and know very little about it, and opening up the masses to Judaism. If there is anybody who can do it, if there is any one person who can talk Judaism in a non-confrontational way, and really do it with no ulterior motive other than introducing Jewish concepts to people, if there is anybody who can talk about religion who the average secular person would feel comfortable listening to, it is Rabbi Lau. Rabbi Lau has a certain charisma. Rabbi Lau has a certain open intelligence. Rabbi Lau has a certain type of calmness about him. Rabbi Lau has a certain type of openness about him. When he talks, you want to listen. When he talks, you feel you are missing something if you do not listen. Ynet ran an article by someone (in Hebrew), someone who calls himself a secular Jew, who writes very nicely about why this show is perfect and why Rabbi Lau is perfect for it. A Guest Post by Shifra G.
So - I have been wondering...are we going back to Egypt? Why would I wonder that? Well, I just heard on the news that Ehud Olmert and Tzipi Livni are thinking about giving the "Russian Compound" back to the Russians. Huh? OK I know that over time other ridiculous 'returns' start to make sense - especially after being repeated by the media. Things like: giving East Jerusalem to the PA as a capitol. or the whole existence of the PA or The Golan - the whole state whatever. The reasons given for all of these 'return's is historical ownership and previous rulership. Who gets to pick how far back we go? Take Chevron for example: There we return houses in to their Historic owners - the year that counts is random - so we only count as far back as the last Arab owner. Maybe all of the land really belongs to Britain, or Turkey? or the real plishtim. I am beginning to fear how far this will be taken. Jews offer to be Returned to rightful Egyptian owners! Why are you surprised? We were their property after all. In today's age of Political Correctness - it can't be too far off. But my name is in the Bible! The best part of the evening was when Bibi got up to speak and he took a moment to look around and comment on a couple of blog names. He scrunched up his face in wonderment and said, "Jewlicious?". Everybody laughed and after a moment, the Jewlicious rep said, "Netanyahu?"! Everybody roared in laughter, including Bibi. But Bibi is sharp and humurous and retorted, "But my name is in the Bible!" The panel discussions were interesting and humurous. All the panelists were great. Hesh from Frum Satire was funny and even had a shout out to me when he spoke about a former commenter named ed who used to rant a lot unintelligently and saw I knew about him.. The theme was taking blogging to the next level. There was very little of that and really very little useful information. The panels were made up of the really big bloggers, and one would think that they are doing more, and have at least some more insights, than us little guys. Write for you, put your blog url in your signature, get links, etc. are all good advice, but pretty basic and something most of us already do. I was a bit surprised to see that they did not have anything special to mention. I guess it just means there is nothing special about them, and anybody can reach that level, if they just continue writing well, with passion, and get hooked up with massive lists that link to you once in a while.. They were also raffling off Dov Bear's new book. I thought I should get a free copy as a contributor to Dov Bear's blog, but that is not happening. Needless to say, I did not win the book. Also they raffled off a waffle maker that I did not win. I never win raffles, so I had no expectations and therefore no disappointments. Overall it was a lot of fun and I am looking forward to next years conference. Every year, we consider going camping and chicken out at the last minute and join some group. It seems daunting to take a bunch of kids up somewhere and sleep in tents and roughing it for a few days. This year we finally did it. We got up the nerve and actually joined in in Israel's national past time and went camping. We got our equipment ready and expected to spend 2-3 days really roughing it, sleeping in tents, hiking and enjoying the beauty of Eretz Yisrael. 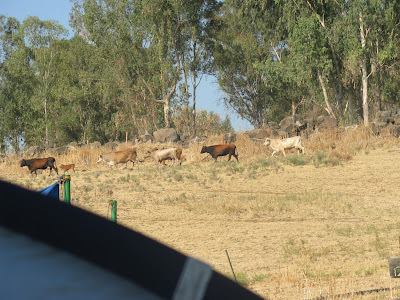 We went up north planning to pitch tent in a campsite of Park HaYarden or further north in either Churshat Tal or Park Yehudiyah (yes, the one with the hike with the 40-foot jump that you can no longer do - they also have a campsite). 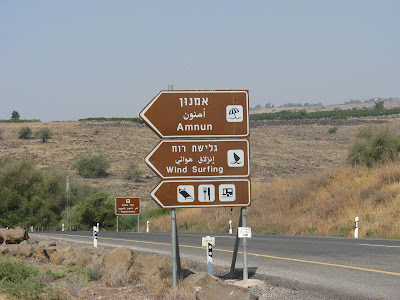 At the last minute someone recommended we go to Hof Amnun, so we did..
Hof Amnun is a beach at the very tip of the Kinneret, at practically the northern-most point possible. 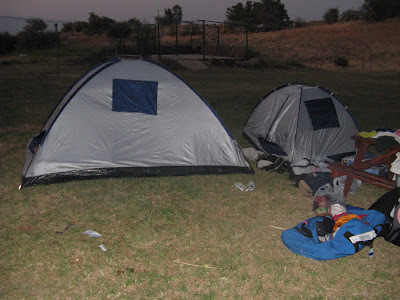 The campsite of Hof Amnon is a grassy area (and reasonably priced) just off the shore of the Kinneret. It is actually a bit set back from the beach, simply because the water level is so low! The campsite had pretty much every amenity imaginable, for a campsite. I cannot compare it with other sites, as I do not know what they are like. Other sites might be exactly the same or maybe some offer more, though I do know that some offer considerably less. Amnun had indoor bathrooms on site with showers. He had electricity and gave out extension cords and light bulbs. He had a fridge so people could put stuff in overnight, like bottles of water and containers of milk or yogurts. He had a kiosk on site, which came in handy despite the prices being through the roof. I called it "The Hilton of the Outdoors". Some people were there in very large groups (multiple families together, etc.) that set up camp in very sophisticated manners, as if they do it every year (they probably do), with everything they could even consider missing from home. People had electric stovetops for cooking, some had fans, I saw someone with a computer, and there was one tent there that even had an air conditioner inside it! So it would be hard pressed to really call this roughing it, but we did not expect all that, so we were pretty much roughing it. We brought along nothing that required electricity. We brought minimal clothes, and enough food for how long we expected to stay, with an ice chest. It was great. I davened while the sun was rising, and then went every morning for a swim in the Kinneret while everyone else was sleeping. I am not a big fan of swimming. After about 15 minutes I get tired and bored of it, so my early morning swims were perfect. Refreshing, and it felt like I was the only person in the Kinneret at the time - I had the whole Kinneret to myself! Probably not true, but it felt like it. 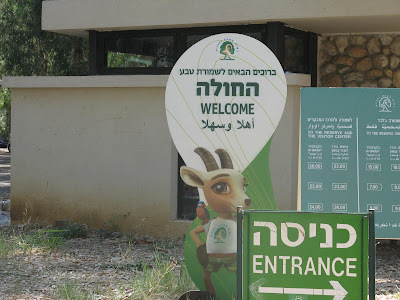 The Hula Reserve is the first Nature Reserve in all of Israel. 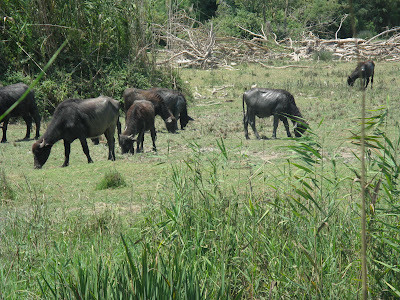 It was a big swamp land in the early days of the state that was causing the nearby residents of the villages to come down with malaria, so they went on a project of draining the swamp. They did so successfully, but the JNF agreed to leave a certain amount (I think 800 acres) for a nature reserve. The next day, Tuesday, we also planned some hikes, but they too would not work out. One son was not feeling well, and we did not think it a good idea to go hiking with a kid who might get sick and need to be carried out. So we changed our plans and went to Park HaYarden which is a large park off the Jordan River. The park has a campsite, but also has a few trails that have water hikes (at least in part), along with kayaking in the Jordan. After kayaking we ate lunch, and then did the trail with the most amount of water. We did not even do the whole trail - just the water part of it. And when we got to the best part of the water, we just stopped there and sat and played n the water. It was so hot, this was a big relief. We all had a great time, even the little kids who are normally scared of water, at least this amount of water and flowing at this strength. 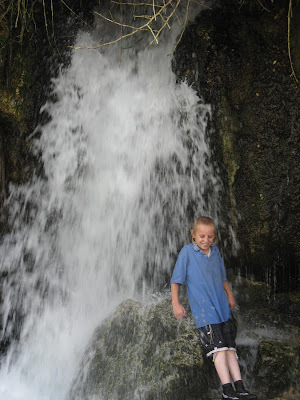 After Park Hayarden, we went to Eyn Ayub which is a waterfall that dumps into the Kinneret. 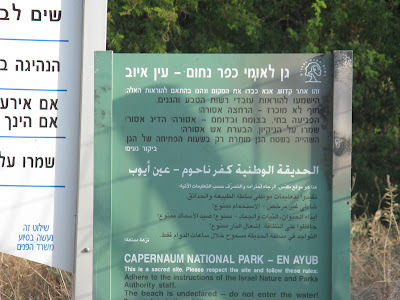 It is right next to Kfar Nachum, aka Cappernaum. What could be a better vacation??? 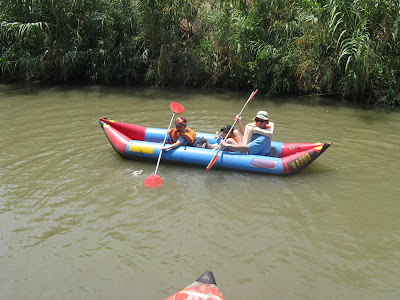 Sleeping on the ground, connecting literally to the Land of Israel, swimming in the Kinneret, davening seaside at sunrise, hiking the trails of Eretz Yisrael, swimming and kayaking in the Jordan River. Of yeah, and the family time of course!!! I never heard of IsraelMall before, but they say they have been around since 2006. I heard about them now because they took the initiative to be a sponsor of the upcoming NBN Jbloggers Conference in Jerusalem this Wednesday night. 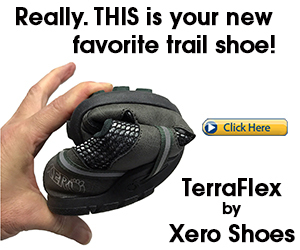 I must say that, taking a look at their website, I am very impressed with the wide range of products they offer. This is like a one-stop shop and should make your shopping experience all that much more pleasant, and all that much easier to get whatever it is you might need. Not only that, but have you ever wondered what to bring as a wedding gift, not knowing what the couple might want or need? IsraelMall says they will soon be offering their services up as a wedding registry. So you can register with them for your wedding (or tell your friends who are marrying off their kids about it), and then make it easier for the guests to know what to buy! This is one service that would be very helpful to have here.. So check out IsraelMall, add it to your favorites, and happy shopping! Mahmoud Abbas must already be much strong than somebody like the Terminator, with the amount of moves Israel has made for the sole purpose of "strengthening Abbas". Today Olmert and his cabinet approved releasing another 200 terrorists, including murderers with blood on their hands, for no particular reason other than to strengthen Abbas once again. Not for Shalit, not for quiet, not for anything. Just to make Abbas seem strong. Perhaps with all the things we have done to strengthen Abbas, perhaps it is time for Abbas to represent the Palestinian people in the Olympics as a weightlifter or a wrestler. The Arab nations, all of them together, have been extremely disappointed by the lack of results of their Olympians. Maybe Abbas should be their collecting medals for them! And if all our moves to strengthen him have not made him any stronger, why would another one be any different??? This Shabbos is Tu B'Av - the 15th day of Av, which the Mishna describes as being of the happiest days of the year, for a number of reasons. In the days of yore, the maidens would prance in the fields and vineyards (how do you like that description?) while the young men would select their wife. In modern day Israel, the day has become adopted as a Jewish form of Valentine's Day. The funny thing is, despite the criticism some among the religious have for the secular having turned the day into a day of love and Hallmark greeting cards, other than making it into a Valentine's Day, there would be no modern day mention of Tu B'Av at all. We, the religious, do not celebrate it in any way other than by skipping tachanun during davening. 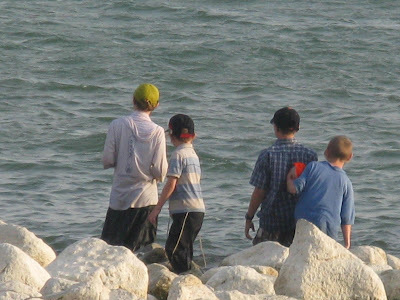 Why we have abandoned the old customs of celebrating Tu B'Av I do not know. Perhaps it is because in todays age of hyper-tznius, it just would not work in any way. I think we have to thank the secular for keeping this holiday, in name at least, alive for us. candidate for the Darwin Awards? Can you imagine training your whole life, with the goal of getting to the Olympics, finally qualifying, being one of the top athletes in the world, working hard day in day out, and then not realizing what time your competition is and not showing up? I saw the following two headline (and article blurbs) side by side yesterday in a newspaper, and the contrast of the two struck (thanks, but I did not get hurt). 2. MK Dov Chenin to run for mayor of Tel Aviv. 2 MKs, each the polar opposite of the other, Rabbi Porush being an MK for the Ultra Orthodox party UTJ (from Aguda-Shlomei Emunim faction), and Dov Chenin being a Jewish MK in an left-wing "Jewish-Arab" party. Each running for the mayoral position in cities that are also polar opposites of each other. NOTE: This is not an endorsement of either of the above mentioned candidates for the respective positions they are trying to obtain. This was simply an observation. 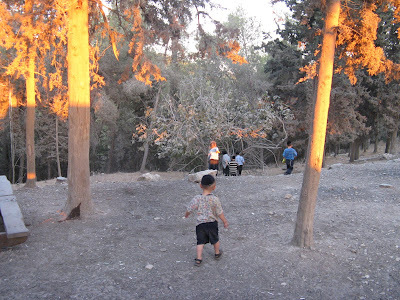 People come from all over Israel to enjoy the beautiful spots in the Bet Shemesh area. My wife decided to have dinner tonight in the picnic area of the Tzora Forests. 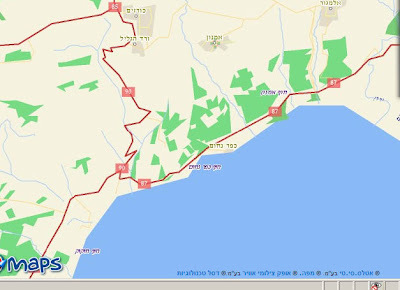 Tzora is a Kibbutz right next to Bet Shemesh. Behind Tzora is the Tzora Forests, climbing up over the fields of Tzora. With the road winding around the mountain, it brings us to a beautiful and secluded picnic area at the edge of beautiful vistas facing the sunset. This evening we had no time to explore, as it was already getting dark and we had to get back, but last time we went we found a cistern and some other interesting stuff. The kids played a bit in the park as we ate. Then on the way out we detoured and drove through some of the Tzora fields, such as the sunflower field, right by a water reservoir, and then the cow barn (which I am told one can go and watch the milking - they milk 4 times a day (7:30, 1:30, 7:30 and 1:30). choice - tefillin or vacation? The Yisrael Hayom newspaper today reported on a phenomena that has recently been happening repeatedly in Jordan. As you all know, we have peace with Jordan. We have trade, tourism, and overall friendly relations.. It seems that the tourism goes only one way - into Israel - nowadays. At least, if you are religious. Recently, the border authorities on the Jordanian side of the border have been giving Israeli tourists a hard time. If religious, and sometimes even if not, they do a full search of your belongings. When they find the tourists tefillin, they refuse the tourist entry into the country, unless the tourist is willing to abandon his tefillin. Why? There has not been any official response from Jordanian authorities, but Jordanian officials at the border have been quoted as giving the reason that it is dangerous for Jews to pray openly. They become a target for terrorists. Therefore they have to not allow entry to people who are going to pray. I guess it is nice of them to be concerned for our safety. But it seems like an excuse. They could ask the tourists to pray in private, not public, locations. Regardless, it was nice to see the quotes from a few tourists who refused to give up their tefillin and instead chose to cancel their vacation. What would Reb Levi Yitzchak of Berditchev say in this case? They choose to forgo the hundreds of dollars (or more) spent for the vacation, the time and effort in planning the vacation, all because they would have to leave their tefillin behind! The program is heard by only 36 people, and it took a lawsuit about anti-semitism to shut them down? Even my blog gets more of an audience than that station! 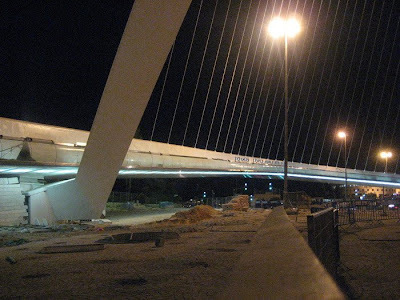 CosmicX has been giving us all the updates and pictures of the progress of the construction of the Calatrava Bridge in Jerusalem (a.k.a Gesher Ha'Meitarim).. Note the grafitti painted in the middle of the bridge... Na Nach Nahma Nachman Me'Uman... Those Breslavers get everywhere! And now the bridge offically matches the decor of Yerushalayim! I don't get it. What did they need to do this for? They've got over a billion people there. Out of a billion+ people they could not find one that is both good looking and has a good voice??? Get a haircut right after the 3 weeks is finished. It feels great and I feel 3 or 4 pounds lighter. I have no idea what the Russians and Georgians are fighting about, but it is clear that the Russians took advantage of the world being distracted by the Olympics and made their move on Georgia while nobody was paying attention. The reaction has been slow and unfocused. Nobody wants to stop watching a bunch of synchronized swimmers and deal with an aggressive Russia. This could just be my ignorance of the situation saying that, but that is how it looks to me. The Saudis got upset at the following ad the Israeli importer of Nissan was running.. the ad pokes fun at the Saudis by introducing a more fuel efficient car. When the Saudi shiekh sees it, he flips out and attacks the car. The Suadis threatened a boycott of Nissam unless the ad would be pulled. After initially holding out, Nissan finally decided to pull the ad. Rav Eliezer Berland is a very spiritual rabbi. He is the head of one of the major streams of Breslav Hassidim, and he is Rosh Yeshiva of the Shuvu Banim yeshiva in the Old City of Jerusalem. Rav Berland, in this past weeks shiur, announced that the dollar, by the month of Cheshvan, would reach an exchange rate of 4.50 (back to about its original high a few months ago before it began freefalling). This was announced in the past weeks Hashavua B'Yerushalayim newspaper, and has since been a topic of discussion.. I also wonder if it does happen and the dollar does rise to a rate of 4.50, will the various tzedaka organizations still run their collections at the rate of 4:1 as they are doing now, or will they move back to the international market rate? After Barak commented on Tzippi Livni's lack of experience and on the fact that we have suffered enough from inexperienced leaders (he forgot to mention having suffered from "experienced" leaders as well), Tzippi puts him in his place. Tzippi Livni criticized him for mixing into internal Kadima affairs (as if Kadima and Olmert have not mixed into Barak and Labor affairs all too often recently) and made a stinging remark, that should put Barak in his place. She said, and this makes the qotd in my book..
"while the Labor Party has chosen a Defense Minister, Kadima members are choosing a Prime Minister"
ouch. That's gotta hurt, Barak! Steve Jobs always famously took a $1 annual salary at his job at Apple Computers. Of course he made his millions off the stocks and options, so the salary was always less important, but it was an important symbolic move. Now Gil Shwed, the CEO of Checkpoint, has announced he is only taking a minimum wage salary, to show he is working out of love and not for the money. Of course, he too is making his big money from the stocks and options, so the salary is not that important. Then again, Jobs took a $1 annual salary, while Shwed is taking minimum wage - in Israel the minimum wage is, give or take, $1000 per month. Let's see Shwed drop his salary to $1!!! Just joking, it is really very magnanimous of him and symbolically impressive. Tisha B'Av is supposed to be a lousy day, but this one really set a new bar for lousy. I caught some sort of a stomach bug. On Friday I was feeling a little under, but kept my regular schedule. Shabbos morning, I was feeling worse, but stuck it out through shul. When got home I could not eat more than a couple bites then went down with too much in the way of stomach aches. Eventually I started barfing, and then it was all over. I went Saturday night to shul thinking I would make it through Eicha, but I could not stay for more than a few minutes. I had to go home to barf some more. So I did not even get to hear Eicha this Tisha B'Av. Then this morning it continued and I missed all kinnos because I was still feeling sick and vomitted a bit. Before Purim, my shul, Beis Tefilla Yona Avraham, in conjunction with the Pirchei Shoshanim Shulchan Aruch Learning Program, made available to the public a collection of questions and answers asked by soldiers as to how to deal with certain situations that arise while serving, and answered by the Rabbonim of Pirchei Shoshanim. BTYA and Pirchei Shoshanim have again come through with an interesting compilation of questions and answers for soldiers and how they can halachically deal with situations that will arise during the fast of 9 Av. Issues such as; fasting during operations, putting on a clean uniform, wearing leather shoes for operations, and more..
Mashiach must be coming tomorrow! UPDATED POST - abuse in RBS school? Will Zippi Livni soon be pushed out of Kadima? do you remember your siyumim from school?